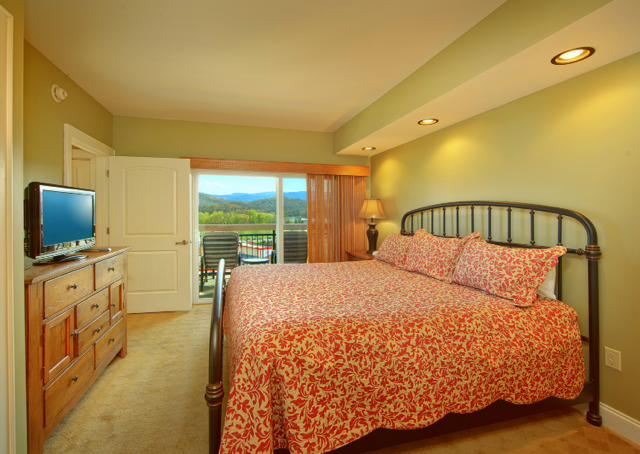 Looking for the perfect place to stay for a getaway in Pigeon Forge? 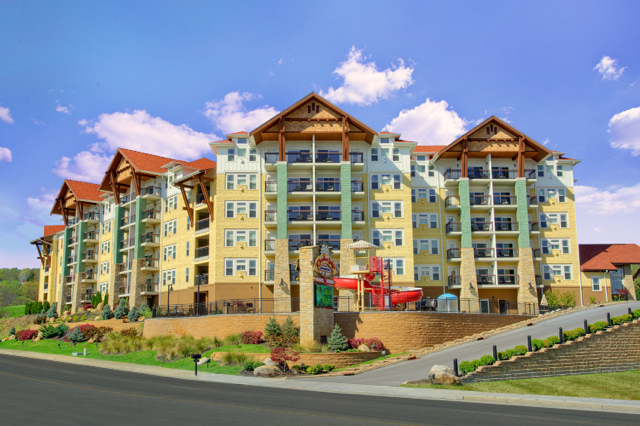 How about a Pigeon Forge condo? 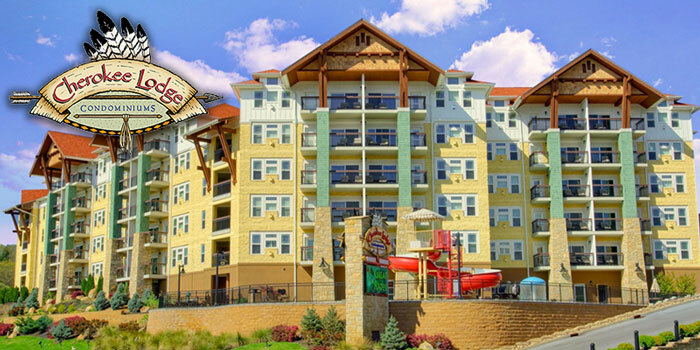 Cherokee Lodge Condominiums has everything you need for an unforgettable vacation! With our incredible location across from the trolley stop at Patriot Park, guests can leave their cars behind and visit popular areas like Dollywood, Gatlinburg, Wears Valley, and the Great Smoky Mountains National Park without spending a cent on gas. 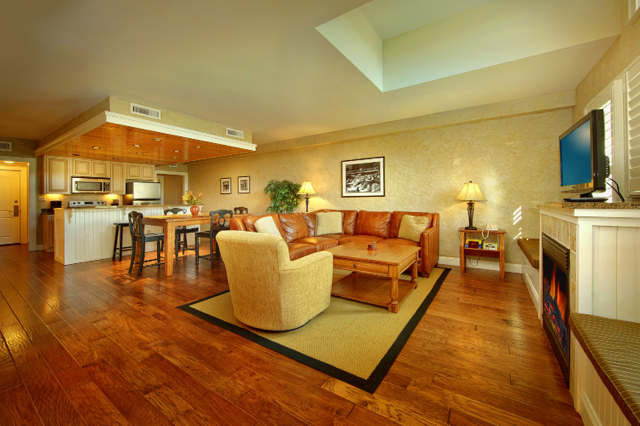 Our beautifully appointed two and three bedroom condos feature the very best amenities. Guests will enjoy all of the comforts of home including a fully furnished kitchen, laundry room, and high speed wireless internet. 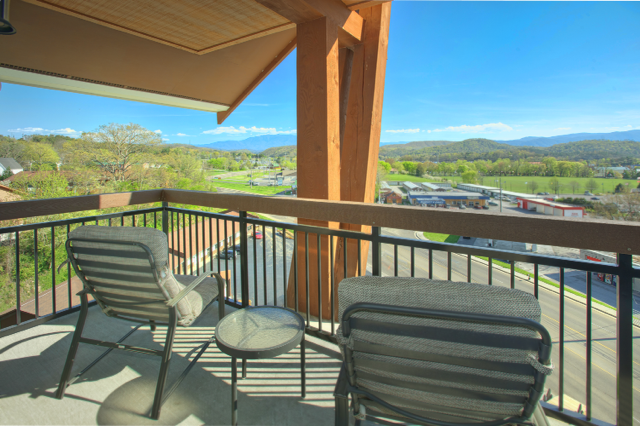 Stunning views of the Great Smoky Mountains and The Old Mill await you on your condo’s private balcony. When the weather gets cooler, you can curl up next to the gas fireplace in the living room or take a relaxing soak in the oversized whirlpool tub. Cherokee Lodge also offers excellent resort amenities. Families will love spending time at our crystal clear outdoor swimming pool. 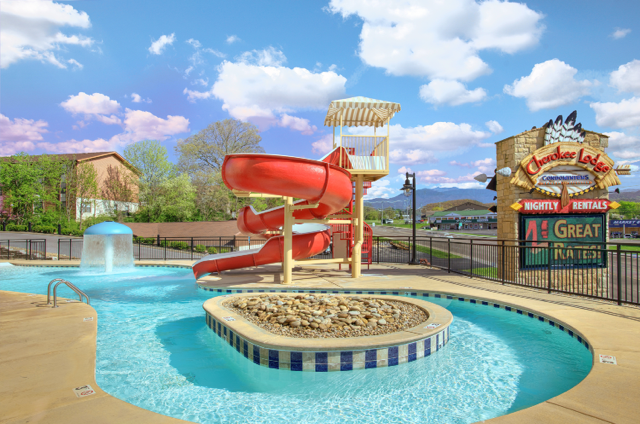 Featuring a 70 foot water slide, our pool is guaranteed to be a hit with kids of all ages. Guests who want to stay fit on vacation can take advantage of our workout and exercise center. From the minute we opened the door, we knew we had picked the perfect place. The condos are exactly like the pictures. The furniture was very comfortable, and the bedrooms and bathrooms were very spacious. There is even a separate laundry room. The kitchen was fully stocked. There is not one negative thing I can say about the Cherokee Lodge. The two bedroom condo is so roomy. We stayed on the ground level but still had a great view from the balcony. This condo over exceeded our expectations. Have stayed at these condos a few times and keep coming back for both location, and cleanliness and comfort of units. Staff are a delight to work with and take care of any needs. We have stated here several July 4ths as you can watch festivities and fireworks from balcony of unit. Great location and very nice accomodations. Very convenient to trolley and Patriot Park. In fact, we walked there every day to catch the trolley to Dollywood. We enjoyed walking to the Old Mill for breakfast, which is not far either. The kids enjoyed the pool and the men enjoyed the fitness room. I was very pleased with the condo and will stay there again. To learn more about staying at Cherokee Lodge, visit us online at www.cherokeelodgecondos.com or give us a call at (877)918-5900. We can’t wait to hear from you!